What could possibly be hiding behind the iconic sliding metal doors at Xavier's Academy? 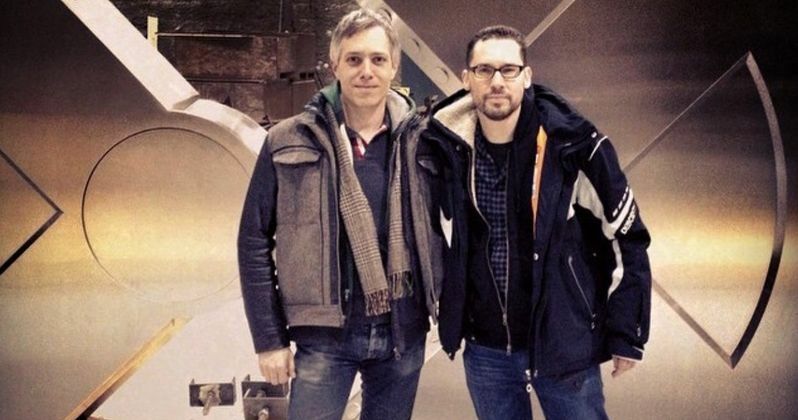 We don't quite know just yet, but Bryan Singer promises it will be something new. The director teased the big reveal on his instagram account, where he was spotted standing in front of the legendary X-Men insignia. Pre-production is currently underway in Vancouver on the set of X-Men: Apocalypse. And it looks as though something quite extraordinary is being built in the room that houses Cerebro. The device is used to detect humans, specifically mutants. It was created by Professor X and Magneto, and was later enhanced by Dr. Hank McCoy. While these doors have been featured in most of the previous X-Men movies, its unclear how Cerebro will be changed or updated for this adventure. "I know. Old door. But there'll be something new behind it. #XmenApocalypse"